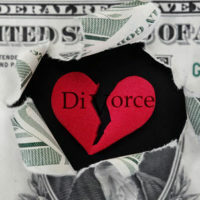 Most couples who decide to get a divorce realize that their financial situations will almost certainly shift in some way after the divorce is finalized. For instance, couples will have to come to terms with paying child support, making alimony payments, or living on a single paycheck. Similarly, divorcing couples with children also recognize that the family dynamic will undoubtedly change. A consequence of divorce that is often overlooked, however, is the effect that a dissolution will have on a family’s tax situation. For help determining how your own tax situation could change after your divorce is finalized, please contact an experienced divorce attorney in your area who can assist you. One of the most obvious changes to a person’s tax situation after divorce is his or her filing status. Most married couples file their taxes jointly, so a person whose marriage was recently dissolved will need to file as the head of their household if there are children in the home or as a single filer. This change in filing status can have important consequences, as couples who file jointly generally receive more exemptions, deductions, and tax credits than single filers. Spousal support can also raise a host of tax-related issues for divorcing couples. For instance, in prior years, alimony payments were deductible for the paying spouse, which meant that the recipient would be required to pay income taxes on those payments. However, this recently changed with the passage of the new tax law, so now alimony payments are no longer deductible. Instead, the person who pays alimony will be taxed on those payments as if they were income. Still, it is important to note that the change in federal tax law won’t affect couples who dissolve their marriages by the end of the year, so if you are thinking about filing for divorce, it may be better for you to do so sooner rather than later. Some deductions that a couple could previously take advantage of together, may only be available to one party after divorce. For instance, in most cases, only one parent is allowed to claim the Earned Income Child Tax Credit. Similarly, only the spouse who keeps the family home will be able to deduct mortgage interest payments. Furthermore, those whose marriages are dissolved before the end of the tax year are not permitted to deduct contributions made to a former spouse’s traditional IRA account. Fortunately, this does not necessarily mean that a person cannot deduct contributions made to his or her own traditional IRA account. If you and your spouse are considering divorce, you need the advice of an experienced attorney who can explain the repercussions that dissolving your marriage will have on your tax situation. To discuss your own case, please call dedicated Fort Lauderdale divorce lawyer Sandra Bonfiglio, P.A. at 954-945-7591 or send a member of our legal team an online message requesting an initial case evaluation.